HAPPY HALLOWEEN! Every halloween Walkers seem to give us the same two crisp variations, Wotsits Zombie Fingers and Monster Munch Bacon Webs. To tell you how fantastic my local supermarkets are it was’t until Halloween did I find these crisps. Thankfully this year they seemed to have got their planning caps on and these have graced our shelves along with other ghoulish goodies well in advance. 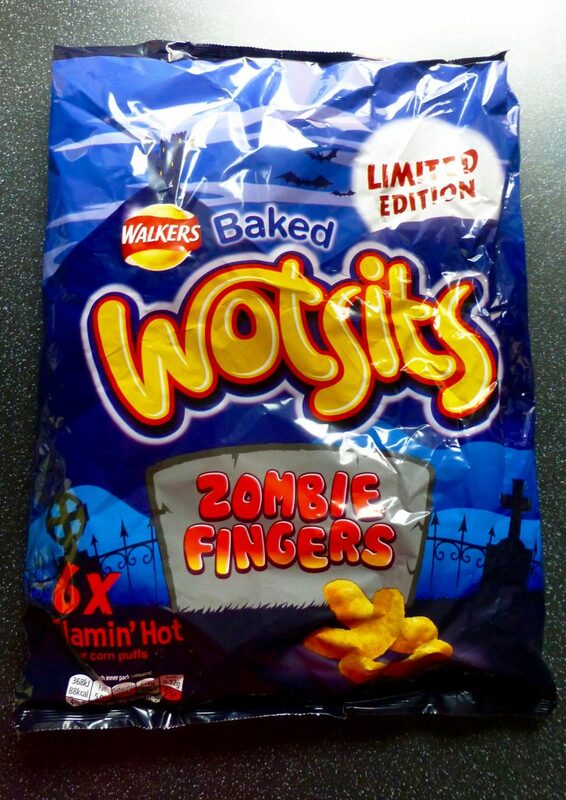 I must confess that for whatever reason last year’s Wotsits Zombie Fingers tasted a bit odd, yes I checked they were still in date! This year I have decided to give them another go and see how they fair. I am not really a Wotsit kind of girl, I am always going to go for a salty v over cheesy but today it’s all about the flaming’ hot. Each pack is 16.5g which is pretty tiddly, come on Walkers a nice round 20g wouldn’t go a miss. I got these for £1 and have seen them in all of the major supermarkets whilst on my travels., and are also suitable for vegetarians. Varying in size these Zombie Fingers certainly smelt smoky. These crunchy fingers were akin to Monster Munch Flamin’ Hot but the flavour was more intense and by the end my mouth was pretty much on fire. Note to all don’t wash it down with a cup of tea, it doesn’t make for a pleasant taste. The flavour was consistent throughout with the paprika providing some of the heat as well as the more intense reddy orange colour. I must say top marks from me. 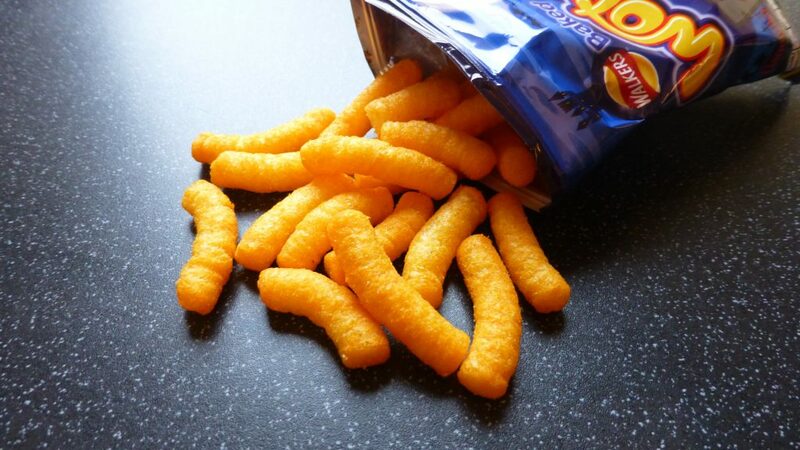 This year these Wotsits Zombie Fingers are spot on with the flamin’ hot flavour and I gobbled up the bag before I knew it. Definitely one to stock up on if you like a fiery crisp. I am so depressed because last year we hunted between September and to the end of October for Zombie Fingers and (finally!) found them in ASDA just a few days before the end of October after many of our friends’ Halloween parties, etc., were already over. Why don’t stores get them in at least 2 weeks before Halloween? This year (2017), I am having the same problem in the West Midlands. No Zombie Fingers anywhere and it’s October 13! It just upsets me so much. It’s a yearly treat to look forward to, and sort of a “year” marker, if you know what I mean.